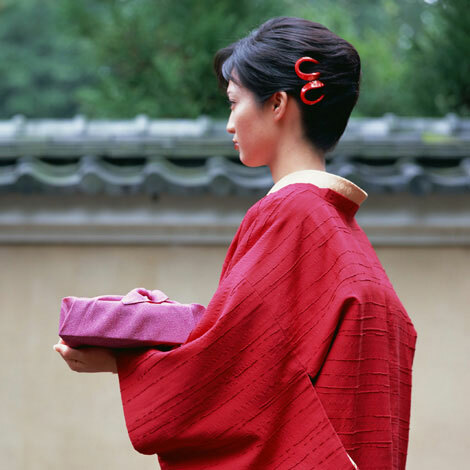 – Consider preparing a gift for important people you are expecting to meet if you are visiting Japan or inviting Japanese guests to your home. – Prepare a selection of different gifts so that if you are unexpectedly given a gift, you will have something to give back in return. – Wrap all gifts with suitable wrapping paper before giving to the recipient. – Carry your wrapped gift in a separate bag so that you can be more discreet with carrying it around before you give it. – Use both hands to present the gift. Similarly, use two hands to receive any gift you might be given. – Give a gift in private if you are only giving to a single individual. – Refuse to accept a gift once or twice if you are offered one. Even though you should accept it eventually, it is polite to pretend that it is too much to receive. – Surprise anyone by giving a gift at an inappropriate time such as when many other people are around. – Rush when opening your gift if you open in front of others. Appreciate the wrapping that someone did for the gift. – Use black red or white wrapping paper as it symbolises death. Go for something subtle and not too bright. – Give your gift immediately. Wait until the end of the visit or until the atmosphere is more comfortable before you give your gift. – Give a gift that is “Made is Japan” as it may appear as an inappropriate choice. – Something from your home country is always a good idea to give as a gift to Japanese people. English tea, Scotch whiskey, shortbread biscuits, jam and conserves and any other suitable gift that you may not be able to puchase in Japan are all good ideas. – It is recommended to give consumable items as they can be shared with friends or colleagues etc, and are also not likely to take up lots of space in a Japanese house. – Anything with a brand name is always appreciated, especially if it is has a close connection with your home country or city. For example Harrods or Cath Kidston etc. As Japanese culture has a focus on giving and receiving gifts, you will find many different types of gift shops in Japan all selling a wide variety of traditional items. If you are looking for a gift for a non-Japanese friend, why not treat them to a Japanese gift? – This high quality Japanese green tea is delicious, healthy and easy to share. – Making sushi at home is fun and easy when you have all the required ingredients in one set. – Sake is great to enjoy together and this special sake is perfect as a gift. – The secret of Origami, the Japanese art of paper folding is unwrapped in this book. – Take it to the next level and start learning Japanese with our most popular study book. – Lastly, why not try using a traditional Furoshiki eco-wrapping cloth for all your presents! Posted in Food and tagged etiquette, Gifts, presents. Bookmark the permalink. I like japanese culture and it’s beautiful.